NBC Bay Area News broadcast a 2-part investigative series on voting systems in California. Part 1 first aired on Thursday, Sept 22 and looked into whether elections in California can be hacked. It featured interviews with California Secretary of State Alex Padilla. Part 2 focuses on an open source solution and what San Francisco is doing to lead the way by creating the country's first open, public, and transparent voting system. Again, the report included an interview with Secretary Padilla, who stated, “Open source is the ultimate in transparency and accountability for all." Also, this summer the security of San Francisco country's election infrastructure became a national news story with many headlines around things like allegations and warnings of Russian hacking, attacks on state voter registration databases, etc. These stories show how timely, important, and critical San Francisco's project is. And it shows how San Francisco's leaders continue to have foresight and lead the country in important solutions to fundamental problems. 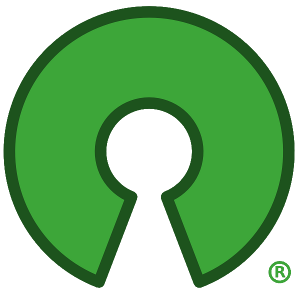 Open source software provides the strongest foundation for software security. For example, open source software powers much of the world's Internet security infrastructure (though San Francisco's open source voting system will still be a paper-ballot system). Yet no jurisdiction in the US besides San Francisco has the leadership and foresight to be taking such clear steps towards open source. That discussion is available on the Commission's YouTube channel (the discussion lasts about 4 minutes (the link is a direct link to the start of the discussion at 40 min, 38 sec). Director Arntz explained that he met with San Francisco's Department of Technology (DT), the Mayor's Budget Office, and the Director of San Francisco's Committee on Information Technology (COIT) to ask for assistance in procuring a project manager / consultant for the initial phase of the project. He did this both because of DT and COIT's expertise in technology projects and because he and the Department are currently very busy in preparing for and running the November Presidential election. The Director said that DT will be overseeing the procurement of the project manager, and that this will probably involve an RFP process for a contractor as opposed to a new employee position. Thank you very much to the Department of Technology (under Executive Director Miguel Gamiño), the Mayor's Budget Office, and to the Committee on Information Technology (under Director Chanda Ikeda) for offering their assistance in this stage of the process! W there are more details about that hiring / procurement process (and in particular when it will be happening), an update will be sent out.